Do you want to be among candidates who will be successfully admitted into the University of KwaZulu-Natal (UKZN)? Then we’ve got your back, here’s all the information you need to know about UKZN Admission Requirements and how you can successfully gain admission into the school. 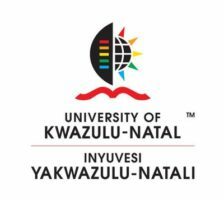 You can also check out the list of University of KwaZulu Natal (UKZN) Courses, Departments & Faculties. Applicants to undergraduate degree programmes must be in possession of a National Senior Certificate for Degree Studies (NSC-Deg) or a Senior Certificate with endorsement. Applicants to undergraduate diploma programmes must be in possession of a National Senior Certificate for Diploma studies (NSC-Dip) or Senior Certificate. For admission to Diplomas or Alternative Access programmes a lower performance in English may be acceptable. In the Senior Certificate, a pass for English at First or Second Language HG E is required. UKZN degree programmes require a pass in Life orientation at Level 4. Access Programmes may consider a pass at Level 3. Each programme has determined a minimum composite Academic Performance Score required for admission to the programme. This is, however, the minimum score required for consideration and learners just meeting this minimum cannot be assured of admission. Applicants to programmes are ranked according to APS and selection is done from the top down until the number of places available in the specific programme is filled. Competition for places is high and it is unlikely that applicants not meeting the APS for a specific programme will be considered. In addition subject requirements and minimum Levels of performance in specific subjects are set for admission to UKZN programmes. Applicants who did not include the correct subjects in their NSC-Deg or who did not obtain the required level of performance in specific subjects required for admission to a programme, will not be considered. International applicants are subject to a selection procedure based on academic merit and the number of spaces available. Applicant with non – South African school leaving certificates must contact the South African Matriculation Board directly to determine if they qualify for admission to degree studies in South Africa. International applicants may qualify for exemption through AEB or Cambridge examinations if they have two A-levels (‘A’ – ‘E’) and three O-level passes (‘A’, ‘B’ or ‘C’) or equivalent. However, certain subject groupings are also required. It is not sufficient to pass in O-levels only. Please note that Faculties may have a subject, level and minimum performance (in O and A levels) requirements for admission to their programmes. Please ensure that you have your original documents available at registration and arrange for official translations where applicable. A School/College may prescribe further criteria for admission to study. Consult College Handbooks on www.ukzn.ac.za. Some Schools/College may accept and Advanced Diploma for entry into a Postgraduate Diploma if HEQF (Higher Education Qualification Framework) requirements are met. A minimum of at least two consecutive semesters. Except with the permission of Senate all modules shall be completed at the University. The curriculum will contain advanced reflection, practice and research methods in the area of specialization and may include a sustained research project in accordance with College rules approved by Senate. A minimum of two consecutive semesters (full time) or 4 consecutive semesters (part-time) before the degree may be conferred. With permission and in terms of College regulations, periods of attendance at the graduate level at another institution or in another College may be accepted. (Consult with relevant School). Candidates shall complete all modules of which one will be a dissertation on a research topic to be approved by Senate. The dissertation module will normally comprise 33-50% of the credit value of the degree. Candidates shall be required to pursue an appropriate programme of research on a subject on a subject falling within the scope of the studies presented at the University. Students must also adhere to possible other conditions prescribed by Colleges/Schools. A School/College may prescribe further criteria for admission on www.ukzn.ac.za. A minimum of four consecutive semesters (full time) or eight consecutive semester (part-time) before the degree may be conferred. Students will be required to pursue an approved programme of research on a subject falling within the scope of studies at the University. Such a programme shall make a distinct contribution to the knowledge or understanding of the subject and afford evidence of originality shown either by the discovery of new facts and by the exercise of independent critical power. Students must also adhere to other possible conditions prescribed by Colleges/Schools. Candidates should have completed a four year Bachelor’s degree or a three-year degree plus a one-year full-time Honors degree in the relevant field to enroll for a Masters degree. All applicants should apply to the South African Qualifications Authority (SAQA) to obtain a certificate of evaluation of qualifications prior to submitting an application to the University.